"Big Wednesday Wave". 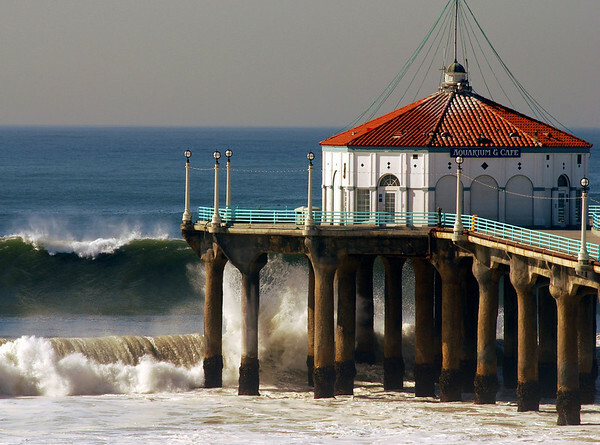 Large swells off the Manhattan Beach Pier 12/5/07. Manhattan Beach, CA. Image published on the Front Cover of the "South Bay Monthly" Magazine, January 1, 2010 (Manhattan Beach, Hermosa Beach, Redondo Beach & El Segundo Issue).